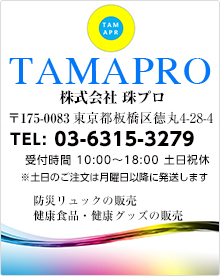 To all the people visiting my homepage of Tama-Pro Co.,Ltd. and Facebook! T fhank youor your watching / viewing always. Unfortunately it is not possible for you to order per Internet from the overseas, although you can see it. and each country has a different export rule. to satisfy you. Please inform me about your wishes. NO GRIEF IF Prepared ! Tamami Ono from Tama-Pro Co.,Ltd.